Corn on the cob is delicious, but don’t overdo it if you have TMJ! 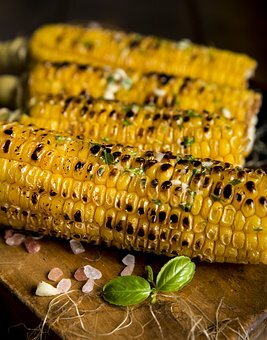 Butter-drenched corn on the cob. Crunchy French bread piled high with basil and garden-ripe tomatoes. Bubblegum. These mouth-watering foods of summer bring exquisite pleasure but they also can bring jaw pain. Here are some hints from Freedom Physical Therapy for maintaining summer jaw health. Practice TTJ, or Tongue up, Teeth apart, Jaw relaxed. The teeth should never touch except when chewing. Chew food on both sides at the same time to reduce strain on any one side. Avoid oral habits like clenching, grinding, biting cheeks/lips. AND NO GUM! Do not rest your jaw on your hand because it misaligns your jaw. Avoid caffeine, which promotes muscle tensing. For more tips on maintaining optimal TMJ health, download our free ebook Understanding Occlusal Disease. Or better yet, reach out and make an appointment with our East Side Milwaukee dentists who understand how to help you manage TMJ.